Although I have worked and spoken to mobile money operators in many countries around the world, my last trip to Tanzania was the first time that I have heard one of these operators explicitly advocate for interoperability. In fact, he asked a room full of organizations to use their power as consumers to demand interoperability in mobile money in Tanzania. In his argument, he implied that interoperability should happen at the mobile wallet level. In other words, that mobile money operators should agree to allow customers to send money from the mobile wallet account of one operator directly into the mobile wallet account of another operator, much as you can send a wire transfer directly from one bank account to another bank account. Currently in Tanzania, as is common in many countries dominated by the MNO-led model of mobile money, a customer can send money from their mobile wallet account to someone not registered with the same operator. However, this money is not sent to a mobile wallet, but it sent as a one-time use token, or a coupon, that can be redeemed in full at an agent location authorized by the sender’s mobile money operator. This is more analogous to a situation where I write you a check that you can only cash out at my bank, and that you cannot deposit directly into your own bank account. The man mentioned previously was using the very broad term interoperability, as many people do in the mobile money industry, to describe this one specific type of interoperability, interconnecting at the mobile wallet level. Value-Added Services (VAS) – allowing 3rd-party, independent companies to build products that link to multiple operators at once. It is this last area that I think is most interesting and practical to discuss, especially at this point in time when mobile money operators are still, as the GSMA points out in the same report, young. I’ve argued for this before in Haiti, and I saw again in Tanzania how vital it is for services such as bulk payments. In order to pay people en masse for salaries, social welfare payments, bonuses, or any other type of payment, it is simply not practical to ask an organization to demand that all recipients use the same cell phone company to receive money. When they do, I’ve seen in countries from Afghanistan to Haiti that people simply replace their preferred SIM card with the SIM of the operator necessary to receive the transfer, at the specified time of transfer. When this is the [informal] solution, mobile money is no longer convenient to the consumer, and is not increasing the loyalty of that customer to the MNO (stickness), one of the main stated objectives of MNOs for promoting mobile money. It also increases the likeliness that the customer will not receive the transfer for multiple reasons: the SIM may have expired (if they haven’t used the voice functionality in a certain amount of time, as per the rules set by each MNO), they may not see the message if comes through at unpredictable time, or the token may expire before the person is able to redeem at an agent. These cause all sorts of operational issues for the sending organization, which could fill at least another blog post, so I will leave them to the reader’s imagination. In Kenya, these problems have not presented as much of an issue because of the dominance of one MNO, Safaricom, in both the voice and mobile money markets. However, as other markets scale up mobile money services which have more competitive markets, MNOs are going to need to be much more open and creative about allowing 3rd parties to create VAS that link to all competitors, thereby promoting the entire ecosystem. Companies in Tanzania including Selcom and KopoKopo are already working with the MNOs to develop these types of services for bulk payments and merchant payments, respectively – which will require contractual and technical agreement. In fact, I would argue that this is the only way that these markets will successfully move beyond transfers and airtime purchases to more sophisticated products and services. 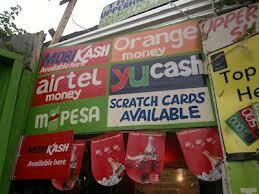 In the last two markets I have visited, Bangladesh and Nigeria, MNOs can’t offer mobile money. In Bangladesh it can only be banks and in Nigeria, banks and third-party operators (not owned by MNOs) can issue mobile money. This avoids all the issues you raise above. In Bangladesh, agents are almost all shared and in Nigeria, I have seen a much higher level of interoperability options than I have seen in any other market. Apart from several banks offering their own mobile money products, there are several third-party operators that offer mobile money services on any mobile network and linked to multiple banks. In fact two, eTranzact, the switch operator linked to most banks and offering PocketMoni as well as Paga, a third party operator linked to seven banks, show quite a bit of promise. with eTranzact, customers can easily move funds from their bank to their mobile wallet and then to any other bank customer, anyone else with a PocketMoni wallet, or to anyone else using a simple mobile voucher system. Paga offers a similar service allowing people to move money across multiple banks, to anyone with a Paga account, or via Paga agents. I will be providing more updates over the coming weeks on my blog at http://www.mobilemoneyfordevelopment.wordpress.com and would be interested in your thoughts. Thanks very much for your comment. You’re absolutely right, of course, that the challenges I describe are specific to MNO-led markets such as Tanzania, Uganda, and Haiti. I am familiar with eTranzact and Paga, and look forward to learning about PocketMoni which is new to me. I look forward to reading more on your blog in the coming weeks and to continuing the conversation.